Imagine exploring beautiful Spanish villages enjoying delicious cuisine and culture during a luxury tour in Andalucía or discovering Spanish art on an inspiring Madrid art tour. Our luxury small group tours in Spain travel in comfort visiting Spain's world heritage sites and places less travelled. The beauty of the Alhambra in Granada and the Mesquita in Cordoba are unforgettable highlights. Timeless white villages and walks in Andalucía's National parks will refresh you as you discover Spain's hidden gems. From the moment you embark on your tour in Spain you can relax. We meet you on arrival and take care of everything for you during your tour. Wander through the tranquil white villages of the Alpujarras with their artisan crafts and you really get the feeling that here time stands still. The fascinating troglodyte town of Guadix, with it's cute chimneys and colourful houses, is so delightful it takes you right back to your childhood. On your Andalucia tour walk back in time through caves with gasoline lanterns, that are owned and operated by the family that discovered them, having drawings dating from the Palaeolithic period. Your tour in Andalucia, Spain includes visiting some of the best restaurants, where you can try delicious delicacies like Jamon Serrano, Rabo del toro, and Salmorjeco. The region of Andalucia is renowned for it's fresh produce and our tours in Andalucia visit Bodegas in Montilla and Jerez, where you can enjoy a glass or two of fino, accompanied by the best Spanish olives and manchego. 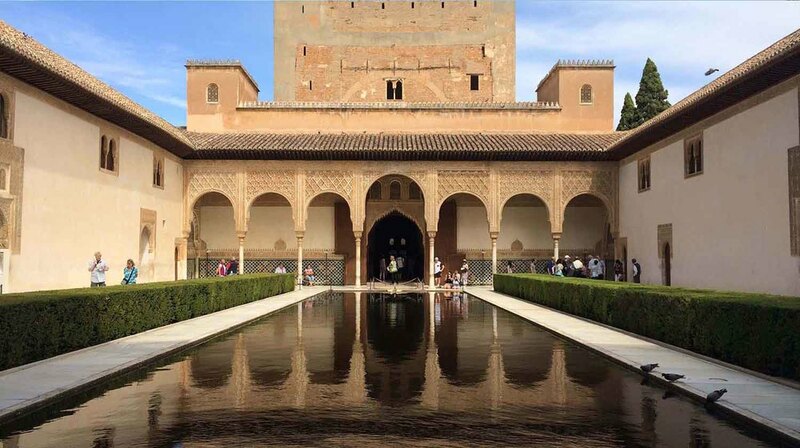 A visit to the beautiful Palaces and gardens of the Alhambra is a cultural experience you will never forget. 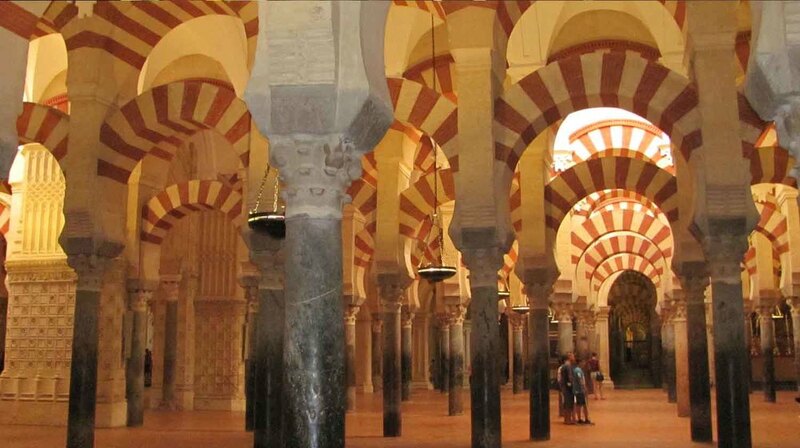 The incredible architecture of the Mesquita in Cordoba, and watching a performance of Flamenco and Equestrian Art will leave you with lasting memories of the warmth of Spain and it's people. If Art is your passion then you can't do better than joining us on a guided Madrid art and cuisine tour. Visit the golden triangle of Art museums in Madrid, the Prado, Reina Sofia and Thyssen Bornmeszia, as well as the stunning Goya Frescos in San Antonio de la Florida and more. 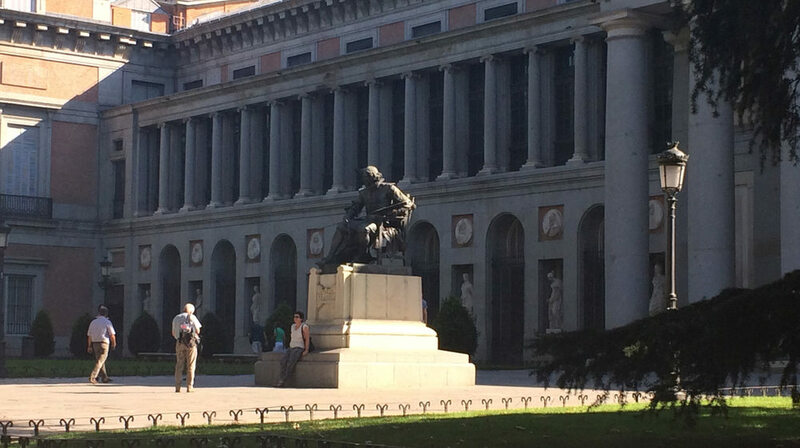 Grant's personal knowledge of Madrid's art museums and galleries will provide you with an insiders view that is both informative and enjoyable. Stay in luxurious accommodation set in great locations. All the hotels and apartments we choose during our tours in Spain are generously equipped with double or twin rooms and en-suite bathrooms. Breakfasts are included in your tour. We believe a good nights' sleep is essential. It's always a pleasure to return to a restful and quiet haven of luxury at the end of each day’s excursion. 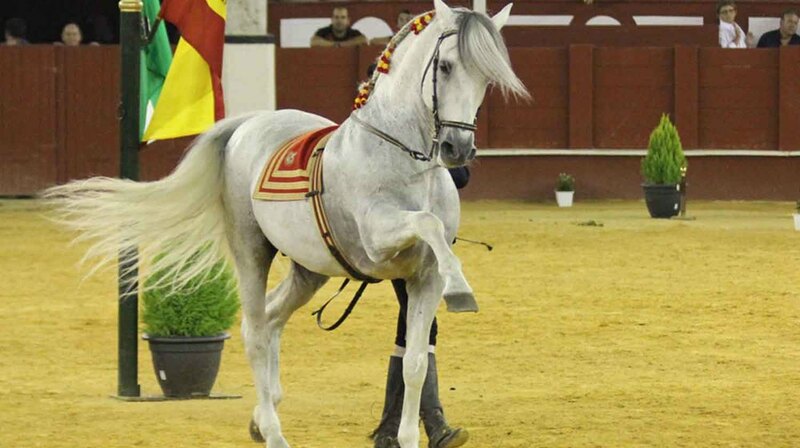 Sol y Sombra tours specialise in creating exciting and memorable Spanish travel experiences. As your guides we know Spain's hidden treasures and invite you to discover her beautiful white villages with us, taste delicious tapas, meet wonderful people, and enjoy a truly memorable adventure.